As a writer for a good majority of my life there are things you can share with others your passion for something, whether it be music or anything to do with arts, politics whatever your passion or your skill may take you. But as many know as well I have been doing this blog for almost five years and it goes without saying that there are those times where I ask myself why. Then there are those days when nothing else makes quite as much sense as this does , for I do have a fulltime job that helps pay the bills and I do enjoy--this is my passion and makes me the happiest of all things I do with my time. 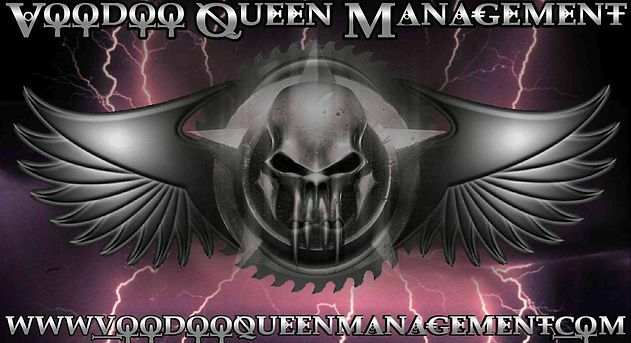 Other than my work here on this site I have never been made to feel more of a group/family member than I do with the people at Voodoo Queen Management/Voodoo Queen Digital Magazine. As a writer it is sometimes hard to find a connection with like minded people/writers etc. Here it is all appreciated and so strongly supported as is all the bands/companies/management/radio stations/sponsors it is quite amazing. So many varieties of ways to promote the company as well as showing support as well to the women in the industry that is so male domintaed. The CEO of the company is Yvonne Loveland and she is the mother of the group that gets things going and keeps others inspired, well I can speak for me on that at least. She found my blog...oh I guess for almost four years now had asked me to review some albums for the company and then was asked to join the staff, then the magazine as a writer/reviewer it has been such a joy working with her and the rest of the staff here. Then there is Kathey Waxler who is the CEO of Voodoo Queen Digital Magazine, who works so hard to get continued support for the magazine with sponsors or even a Voodoo Dolls calendar that will help bring in some more monies for the magazine as well--$5.00 is pretty cheap and it features all the Voodoo Dolls from last year in it.--will have the links at the bottom of the page here if you want to check out anything related to anything mentioned here. 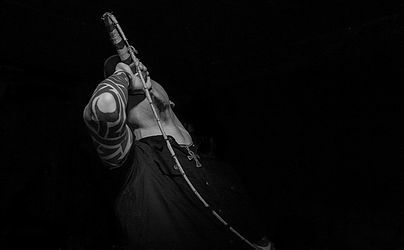 The artists associated with the management company itself is varied and some great overall talent, while we strive to offer reviews/interviews or articles or sections on other bands from other labels--the main goal is to help our roster succeed in every way , shape or form. Is there another management company that will ask around for gas money for their bands so they can finish their tour, or help raise funds for one of their own? Doubtful , this is a rare group of people and find myself always thankful to be a part of it all and this is my small way of saying thanks to allowing me to be a part of it all. It goes without saying I would mention more of those involved in so many different ways and being a part of any small part that is Voodoo Queen Management , but I would feel bad if I left even one person out of that. So please consider this my brothers and sisters of all VQM I appreciate all that you do to help make this one of the more unique and inspiring worldwide families that I have ever been given the opportunity to work with , here's to many more great years to follow! This is basically the center of the universe that is all Voodoo Queen related if you have any questions Yvonne is always willing to help in anyway she can, message her and she will be happy to assist you.